Screening and interviewing candidates is tricky business. Assessing hard skills is difficult enough, but add to that the nuance of what it takes to succeed in that role, at your institution, and with the new manager…and it’s a whole new ballgame. 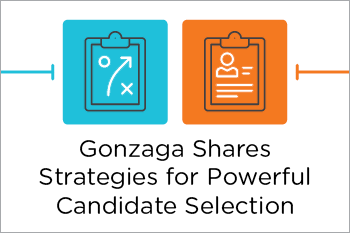 In this webinar, we’ll discuss practical strategies for powerful candidate selection. The presenters will talk about how to assess not just hard skills and experience, but fit. And they’ll also talk about soft skills, behavioral interviewing techniques, and being on the alert for hidden bias throughout your hiring process. In short, we’ll arm you with the tools and information you need to substantially up your hiring game, and how to get your hiring managers to do the same. Join us, and you’ll get real-life strategies you can put into practice today. Understand the outside forces impacting your hiring process, and why you may need to consider changes in order to maximize your most valuable resource—workforce talent. Discover innovative ways to identify and select the right person for the right job—matching skills (hard and soft) to opportunities. Leave with concrete strategies and techniques for ensuring better cultural fit by identifying and uncovering hidden bias in your hiring process.